The hygienist’s main role is to professionally clean the teeth for the patient. This is usually called scaling and polishing. However, perhaps their most important role is showing the patient the best way to keep the teeth free of plaque. The hygienist will work with your dentist to provide care tailored to your needs. This is what the training of the hygienist is all about. Carefully removing the deposits that build up on the teeth (tartar) and teaching you how to prevent it reforming again, will go a long way to slowing the progress of gum disease. By discussing your diet, and recommending other preventive measures, your tooth decay can also be slowed down. The permanent back teeth can also benefit from having the biting surfaces sealed. This is done by applying a special plastic coating to the biting surface soon after they come through. Adults can also benefit from having fluoride applied. They can also have anti-bacterial gels and solutions applied under the gum to kill the bacteria causing gum disease. Another very important part of the hygienist’s work is giving regular instruction and advice on home care. The hygienist may also suggest giving up smoking, as this will reduce staining. Recent research has also shown that smokers have more gum disease and lose more teeth than non-smokers. You can have the treatment under the NHS or privately. It is important to find out the cost before you start, by getting a written quotation. Some practices will have a price list displayed at reception giving a guide to the prices charged for the service. Under the NHS rules, the government fixes the price. Your hygienist will have shown you how to remove plaque with a toothbrush and fluoride toothpaste. You will also have been shown how to clean between your teeth with floss, tape or little brushes. 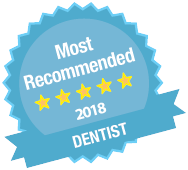 There are many products now available, and your hygienist will recommend those that are best for you. Not all practices have a hygienist. However more of them now offer this as part of the service to patients, using part-time and full-time hygienists. Hygienists can now work when a dentist is not there, as long as the dentist has seen the patient and the treatment is prescribed for the patient.